United Nations human rights experts made global headlines in a session that concluded Monday when they said they believe China is holding 1 million members of a Muslim minority group in secret prison camps. It’s a scale of tyranny that’s hard to imagine — a sprawling system of detentions for political “re-education” and a growing surveillance network outside the camps, ostensibly the only possible response to the risk of terrorism. But despite the Chinese government’s vast, often brutal attempts to control what the world knows about its repression, the U.N. announcement is also proof that Chinese citizens, journalists and advocacy groups are succeeding in long-shot efforts to get the truth out. 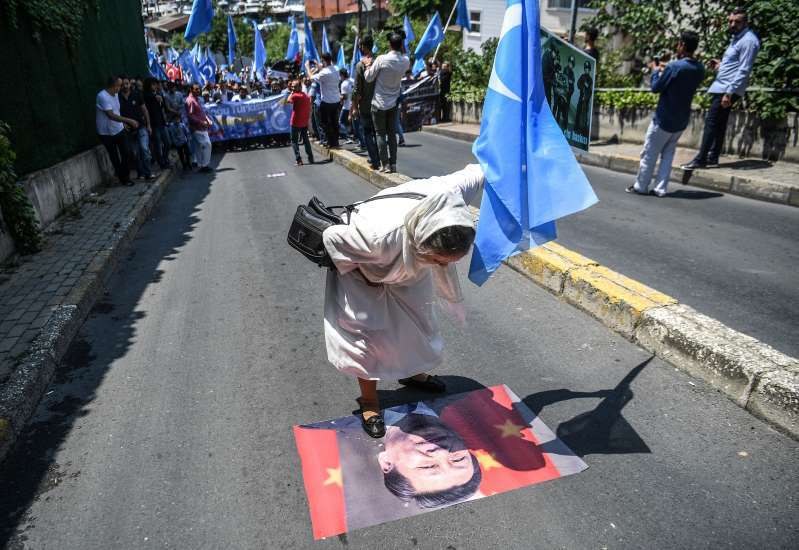 [post_ads]The Uighurs, the ethnic group targeted by China’s ruling Communist Party, “have realized that it doesn’t help to be quiet,” said Zubayra Shamseden, the Chinese outreach coordinator at the Uyghur Human Rights Project. Just days ago, she heard from one more Uighur willing to volunteer his family’s story for the first time because his brother, a Communist Party loyalist with whom he had long squabbled over politics, had disappeared. China has been wary of the 10 million Muslim, predominantly Uighur residents of its northwestern Xinjiang province for decades. Beijing ramped up security checks and forced integration with the country’s Han Chinese majority amid global fears following the 9/11 attacks; it argues that without those measures the Uighurs and related communities would join Islamist extremists or separatist groups that have killed hundreds. But the current wave of repression has a clear beginning: 2016, when Chinese President Xi Jinping put Chen Quanguo, an official who previously managed tight Chinese control in Tibet, in charge of the region. Since then, Uighurs and foreigners tracking the events in Xinjiang have developed more discreet strategies to smuggle out information, as China has arrested family members of people speaking out and become more audacious in denying that there is any crackdown at all. The Uighurs within China ― who now experience sudden arrests, restrictions on their use of Muslim names or traditional dress, facial scanning on trips to buy groceries and state-sponsored spying by neighbors ― have a few ways to share what they’re going through. For some time, scores were managing to leave Xinjiang and provide firsthand accounts once they reached relative safety in the countries of Central Asia or the West, according to Maya Wang of Human Rights Watch. But China has tightened border controls, so it’s now been a year since most Uighurs have been able to leave the southern parts of the region where they are concentrated. Meanwhile, the Kazakh Muslims who are more common in the north have faced new restrictions for the past six months, she said. Today, reporters and activists on the ground are still collecting and sharing information on government excesses. They get it to the outside world through contact with three groups that often overlap and communicate with each other: expatriate Uighurs, experts on human rights, and the international media. Communication with the hundreds of thousands of Uighurs living abroad mostly takes place via the ubiquitous (and government-approved) Chinese messaging app WeChat, Shamseden said; telephone conversations inspire less confidence because of assumed wiretaps. Both methods involve using previously agreed-upon code words and signals the authorities might not know about, a key tactic since, per Wang, the Chinese government can deem any interaction with people outside the province a basis for arrest. Reuniting in person is only an option for some — the government rarely issues visas to visit China to Uighurs who are now foreign citizens, according to Shamseden. Expatriate Uighurs have become more willing to share what they hear as they have come to feel anyone can be affected by the government’s collective punishment, and because they’ve learned they have little other recourse: China won’t even tell them if family members are still alive. “It’s deep, deep suffering. … The only thing they can do is provide as much information as they can,” Shamseden said. Verifying those stories can be tricky because they travel far from their origin, and more dramatic allegations might be readily believed by people who have not been in the region for some time, Wang said. Her organization was one of many to submit reports that, along with China’s own brief, formed the basis of the U.N. experts’ judgment. Firsthand information also quietly reaches the U.N. through the work of a group called the International Service for Human Rights, which finds ways for officials and analysts to learn about rights violations directly from activists and caseworkers in Xinjiang (and elsewhere). They improvise to avoid issues like risky public naming of sources or bureaucratic inflexibility, the group’s Sarah Brooks told HuffPost. And deeply reported media coverage is crucial to connecting the dots too. Radio Free Asia, a U.S.-funded broadcaster, has run a Uighur-focused service for 20 years; based in Washington, the 12-person team has used extensive contacts in Xinjiang to break major scoops on the crisis, including the first reporting on the existence of the detention centers last spring and confirmation of deaths in the camps. China has responded by targeting the families of six staff members. The nearly 40 people arrested in these sweeps include elderly parents, siblings, in-laws, and nieces and nephews. “We’ve been taking cues from [the journalists] because it’s a very delicate situation,” said Rohit Mahajan, Radio Free Asia’s public affairs director. He noted that Chinese state-owned media has publicly blamed RFA’s reporters for instigating riots in 2009 and in 2014. Reporters with The Associated Press, BuzzFeed and Foreign Policy have published deep investigations as well, often by carefully parsing China’s own comments and public documents like government contracting requests, and U.S.-based journalist Bethany Allen-Ebrahimian this week revealed the expansion of Chinese surveillance of Uighurs to American soil. Though China currently has more than 40 journalists behind bars, among them at least a dozen Muslims, some Chinese reporters take the risk to provide fresh information or travel into the carefully protected region, Shamseden said. Taken together, the public picture stands in stark contrast to Communist Party propaganda about progress in Xinjiang. “I think the Chinese government is feeling the heat,” Wang said.